Subscribe to get deals from hundreds of merchants including the best of Lawry’s The Prime Rib Singapore! Promotion period is from 2 January 2019 to 30 December 2019 (both dates inclusive).. Under the Promotion, a Citi Debit/Credit Cardmember will enjoy the following discounts on a-la-carte food items at Lawry's The Prime Rib when payment is charged to a Citibank Debit/Credit card:. 1 diner: 15% off a-la-carte food items (min. order of 1 main course). 2 diners: 40% off a-la-carte food items (min. order of 2 main courses). 3 diners: 30% off a-la-carte food items (min. order of 3 main courses). 4 diners and above: 20% off a-la-carte food items (min. order of 4 main courses). Promotion is valid on a-la-carte food items only, excluding beverages, promotional items, set menus, government taxes and the service charge.. Promotion is valid daily during lunch and dinner.. Promotions are valid for dine-in customers only; takeaway items are not included.. Promotion will not apply on the eve of and on public holidays, and special occasions such as Valentine's Day (13-15 Feb), Easter Sunday (20-21 Apr), Mother's Day (11-12 May), Father's Day (15-16 Jun), Singapore F1 Grand Prix Weekend (20-22 Sep), Thanksgiving (28 Nov) and Christmas (21-31 Dec), unless otherwise stated.. Promotion is limited to one (1) redemption per bill, per party, per table, regardless of the number of Citi Cardmembers within the group. No splitting of bills and tables allowed.. Promotion is not valid with other promotions, offers, privileges, discounts, vouchers, loyalty programmes, and privilege card(s).. Promotion is not valid with private and corporate functions and/or events.. In the event that only one (1) a-la-carte food item from Lawry's The Prime Rib menu is ordered for sharing, and there are more than two (2) diners at the table, the 15% off a-la-carte food items discount will apply instead.. Under the Promotion, children below the age of 7 are not counted as guest diners. Children of age 7 and above are counted as children guest diners if they order a main course. According to a communal dining concept, 2 children guest diners will be counted as 1 adult guest diner and 4 children guest diners will be counted as 2 adult guest diners, etc.. Citibank's decision on all matters relating to the Promotion will be determined at its reasonable discretion and is final and binding on all participants.. Citibank shall not be responsible for the quality, merchantability or the fitness for any purpose or any other aspect of the products and/or services provided by third parties and Citibank shall not at any time be responsible or held liable for any loss, injury, damage or harm suffered by or in connection with the products and/or services provided by third parties. All disputes about quality or performance of the product and/or services shall be resolved directly with Lawry's The Prime Rib Singapore.. Citibank and Lawry's The Prime Rib Singapore reserve the right, at their reasonable discretion, to vary, add to or delete the Promotion terms and/or terminate the Promotion.. Citibank" refers to Citibank Singapore Limited and "Lawry's The Prime Rib" and "Lawry's The Prime Rib Singapore" refer to Lawry's The Prime Rib Singapore Pte Ltd.. Please always check with the merchant on the validity of the promotion before purchase. Promotion is valid on a-la-carte food items only, excluding beverages, promotional items, set menus, government taxes and the service charge. Promotion is valid daily during lunch and dinner. Promotions are valid for dine-in customers only; takeaway items are not included. Promotion will not apply on the eve of and on public holidays, and special occasions such as Valentine's Day (13-15 Feb), Easter Sunday (20-21 Apr), Mother's Day (11-12 May), Father's Day (15-16 Jun), Singapore F1 Grand Prix Weekend (20-22 Sep), Thanksgiving (28 Nov) and Christmas (21-31 Dec), unless otherwise stated. Promotion is limited to one (1) redemption per bill, per party, per table, regardless of the number of Citi Cardmembers within the group. No splitting of bills and tables allowed. Promotion is not valid with other promotions, offers, privileges, discounts, vouchers, loyalty programmes, and privilege card(s). Promotion is not valid with private and corporate functions and/or events. In the event that only one (1) a-la-carte food item from Lawry's The Prime Rib menu is ordered for sharing, and there are more than two (2) diners at the table, the 15% off a-la-carte food items discount will apply instead. Under the Promotion, children below the age of 7 are not counted as guest diners. Children of age 7 and above are counted as children guest diners if they order a main course. According to a communal dining concept, 2 children guest diners will be counted as 1 adult guest diner and 4 children guest diners will be counted as 2 adult guest diners, etc. Citibank shall not be responsible for the quality, merchantability or the fitness for any purpose or any other aspect of the products and/or services provided by third parties and Citibank shall not at any time be responsible or held liable for any loss, injury, damage or harm suffered by or in connection with the products and/or services provided by third parties. 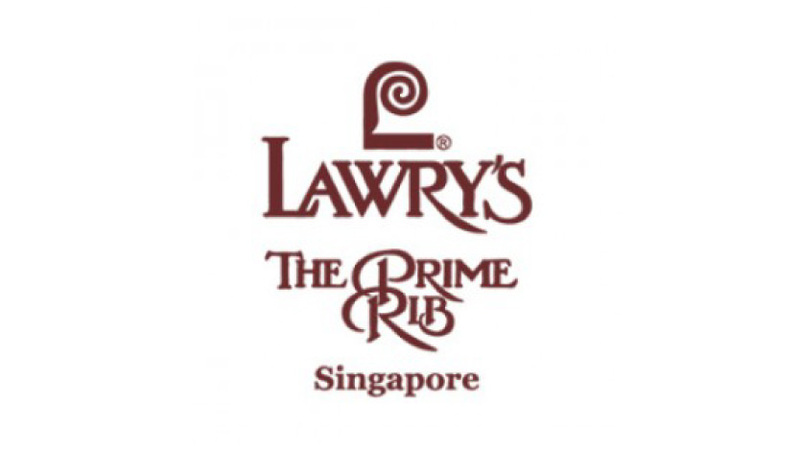 All disputes about quality or performance of the product and/or services shall be resolved directly with Lawry's The Prime Rib Singapore. Citibank and Lawry's The Prime Rib Singapore reserve the right, at their reasonable discretion, to vary, add to or delete the Promotion terms and/or terminate the Promotion. Citibank" refers to Citibank Singapore Limited and "Lawry's The Prime Rib" and "Lawry's The Prime Rib Singapore" refer to Lawry's The Prime Rib Singapore Pte Ltd.